A Picture of The Answer in Baltimore … And The World! “Do not repay anyone evil for evil. Be careful to do what is right in the eyes of everyone. If it is possible, as far as it depends on you, live at peace with everyone. Do not take revenge, my dear friends, but leave room for God’s wrath, for it is written: ‘It is mine to avenge; I will repay,’ says the Lord. Violence will never end violence. Overcome evil with good! Wow that kid demonstrated the message is the cross. 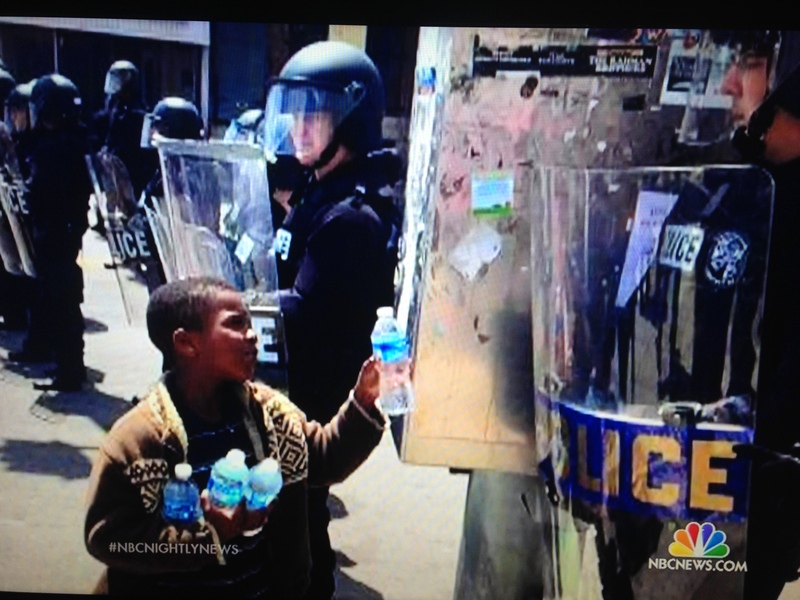 While others are throwing stones he gave water.